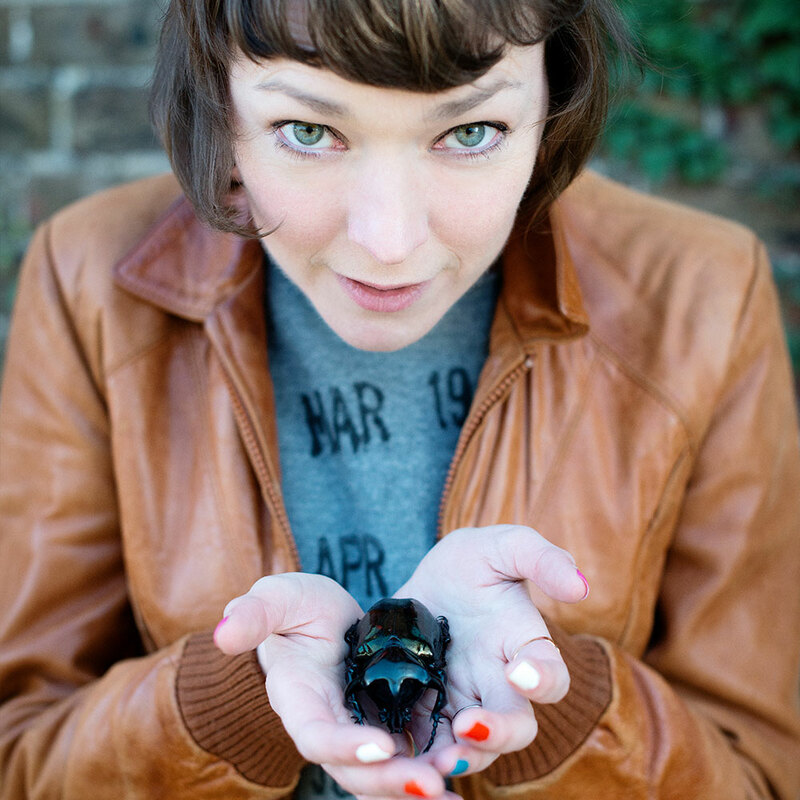 To celebrate the publication of Beetle Boy, I am so pleased to welcome debut author M.G. Leonard, onto the blog to discuss her big break into publishing. Your debut novel, Beetle Boy, hits the shops on the 3rd of March. What are your hopes for your debut? I hope that Beetle Boy will be a powerful enough story to capture people’s imaginations, especially children’s, and cause them to rethink their attitude to insects. I hope they look at the ones they see in their garden or out and about, and feel curious about and positively towards them. Beetles are both beautiful and important creatures, and I’d love the book to champion these mini-heroes at a time when the climate is changing, and our relationship with the natural world is more important than ever. Can you give me a one line pitch for my readers, telling us what the book is about? Thirteen-year-old Darkus Cuttle’s search for his kidnapped father leads him to discover a mountain of extraordinary beetles, and pits him against the mad-scientist of the fashion world, Lucretia Cutter, an haute couture villainess with an alarming interest in insects. 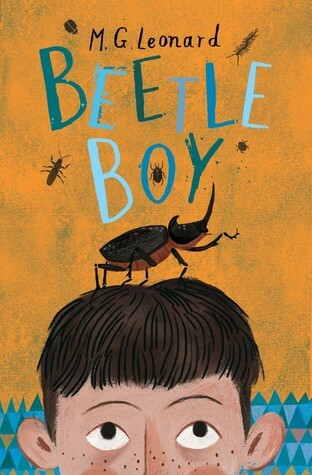 I understand that Beetle Boy has been chosen as Waterstones Children’s Book of the Month, what did you do when you found out? I swore loudly and exuberantly. I knew it meant that Beetle Boy would be in piles on tables, not a single copy on a shelf, and that meant that people would see it. I had no idea that there would be shop-windows and beetle-based activities. The power of booksellers to reach a customer is second to none, and I would happily hug each and every person who has championed Beetle Boy, because I care greatly that children get to read it. You wrote the first draft of Beetle Boy in six months and it wasn’t long after this that you were taken on by Barry Cunningham as a debut author. That whole time period must have been surreal. How did you actually feel? I was constantly confused, because the only references I had were what I’d read online, on other author’s blogs, and what was happening to me, was not something I’d read about. I was under the impression that no publisher would read a manuscript unless sent by an agent. However, it turns out every journey to publication is unique. Barry Cunningham got his hands on my manuscript before I had an agent, and he was quick to offer me a publishing deal, and very flattering, which I found alarming, because I didn’t really understand what was going on. Luckily, I work at the National Theatre, which has a literary department. So I knocked on their door and explained what was happening, and they told me to get an agent immediately. Once I had an agent, I stopped being frightened of making a mistake, and began to enjoy it all. You have a rather hectic and full time job, how do you find time to write as well? I love writing. I consider it ‘me’ time. I can’t do it when I’m tired, so I get up early and write before everyone else wakes up. I also have a commute, which I see as an hour’s dedicated writing time five days a week. I made a rookie error and queried a handful of agents with a first draft, which was roundly, and rightly, rejected for being too long. I took their criticisms on board and set to work editing. I didn’t mind the rejections, because an agent can only represent a manuscript that they believe they can sell, and my job was to write that manuscript. Their criticisms helped me write a better book, which lead to a publishing offer from Chicken House. Then I got to solicit the agents I most wanted to work with, and they all offered me representation. Amusingly, my agent originally turned me down because her list was full, but I chose to be represented by someone who had originally rejected me because she’s a great agent, and I always knew she was right for me. No, and I never will. Even if no one read my stories, I’d still have to write them. I love writing. Who was the first person you told when you got your book deal? My partner Sam is the first person I tell anything, and he was the first to know. We’re a team, and I couldn’t have written the book without his encouragement and enthusiasm. He’s my first reader, my best friend, and my business partner. When I told him about it, we just stared at each other, incredulous that it was actually happening. How has your life changed since getting your book deal? Honestly? I had no idea how much of a job being a writer actually is. It’s like any other job, there’s admin and comms, and meetings, and finances, and conference calls, and oh my goodness the editing! For the last year I’ve been learning a new profession whilst still working full time, and I have a two year old who doesn’t sleep. Thankfully at the beginning of February I began a sabbatical, and I’m able to work full time as an author now. I haven’t had a moment to take in what is happening, but I’m just glad that it all is. What advice would you give unpublished and unagented authors? A book’s purpose is to be read, therefore the most important thing is the reader’s experience of the story. You must know what you are doing to a reader with every sentence; are you thrilling them, misleading them, or making them fall in love? Each occasion you unwittingly neglect or abandon your reader, gives an agent or a publisher a reason not to publish your book, because first, before they are your publisher or agent, they are your reader.